Author: Martin Malden Published: January 31, 2016. Last updated: July 7, 2017. For those of you who have sites built by us, but who are doing your own content updates, the recently released Thesis 2.2 makes adding or updating content easier and safer: the layout in the Visual editor now exactly replicates the front of your site, so formatting is a cinch. The process you use does not change at all: write your title, select your featured image and write your content. 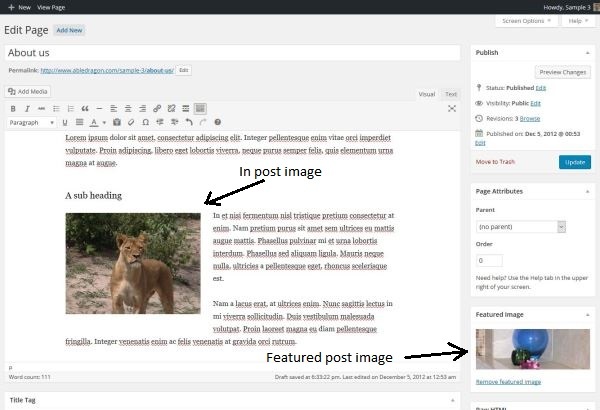 What’s new is that now you can see the front of site layout replicated in your post write/edit window, so formatting your content no longer requires repeated checks of the ‘Preview’ window. If your site is maintained by us under our monthly maintenance service option you will already have Thesis 2.2 – we will have updated it when it was released. These items are defined in the site stylesheets and require you to edit the CSS code to change them. However, apart from items such as those, the new Visual editor is a major improvement. When you first look at a page in the new Visual view you will notice that it does not take up the full width of the editing window. This is because it replicates the width of the content on the front of your site. So if the area in which your main content is displayed to site visitors is 600 pixels wide then the content in your editing window will also be 600 pixels wide. 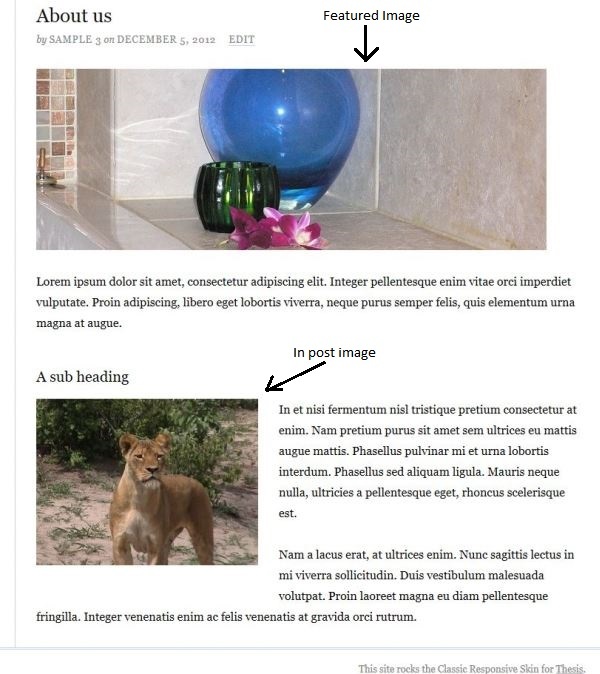 This is super helpful for when you want to position images or other media relative to adjacent text – for example bulleted or numbered lists: you set the location in your editing window and that’s exactly how it will be displayed on your site front. All the other normal formatting functions act exactly as usual: inserting images or videos, creating (or editing) links, setting headings and sub-headings, bolding, underlining or italicising normal text, indenting blocks of text, creating blockquotes, and so on. If you want to play around with the new functionality log in to your WordPress site and create a new post. Write any content you want (or copy a block of text, paste it into a text file (Windows machines) then copy it from the text file and paste it into WordPress) and play around with the formatting. You don’t need to hit ‘Publish’ – just use the ‘Preview’ button to see the results and then move the post to Trash when you’ve finished playing!